Susan Caldwell Madison, 68, of Statesville, passed away peacefully Wednesday, January 23, 2019 at the Gordon Hospice House. Mom, Mrs. Madison, Suz, Bubby, Oumi - however you knew her - to know Susan was to know acceptance, love, kindness, and compassion. These traits guided her as a nurse, teacher, and mother. She was a devoted member of Oakland Presbyterian Church and of the greater Statesville community. Susan drew strength from her faith to uplift all those she encountered. May her example always inspire us to be our most compassionate, gracious, and loving selves. Mrs. Madison was born April 30, 1950 in Washington, DC and was the daughter of the late Dr. E.R. Caldwell, Jr. and Yvonne Phelps Caldwell. 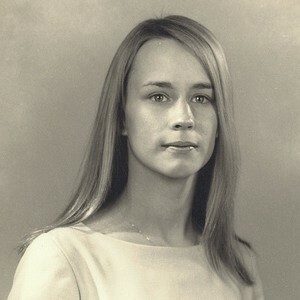 She graduated from Statesville Senior High School class of 68’ and Baptist School of Medicine (‘71), where she received her Associate degree in Nursing. She was a Registered Nurse with Davis Hospital and a loving daughter, sister, mother and grandmother. She was preceded in death by her former husband and best friend, Tony S. Madison, and survived by four sons, Patrick Cline (Ashley) of Statesville, Andrew Madison (Laura) of Rockville, MD, William Madison of Statesville, Benjamin Madison (Emmylou) of Statesville; five grandchildren, Josh Myers, Ada Madison, Rosalind Madison, Elijah Madison, Luna Madison; one sister, Lynn C. Vessels (Steve) of Lynchburg, VA and three brothers, Dr. David Caldwell (Vickie) of Durham, NC, Dr. Bob Caldwell (Lynne) of Winchester, VA and Dr. Stephen Caldwell (Cate) of Charlottesville, VA. Memorial services will be held 2:00 p.m. Saturday, February 2, 2019 at Oakland Presbyterian Church with Rev. Steve Snipes officiating. The family will visit with friends following the service in the church fellowship hall. Troutman Funeral Home is serving the family of Susan Madison.